Exciting good news! 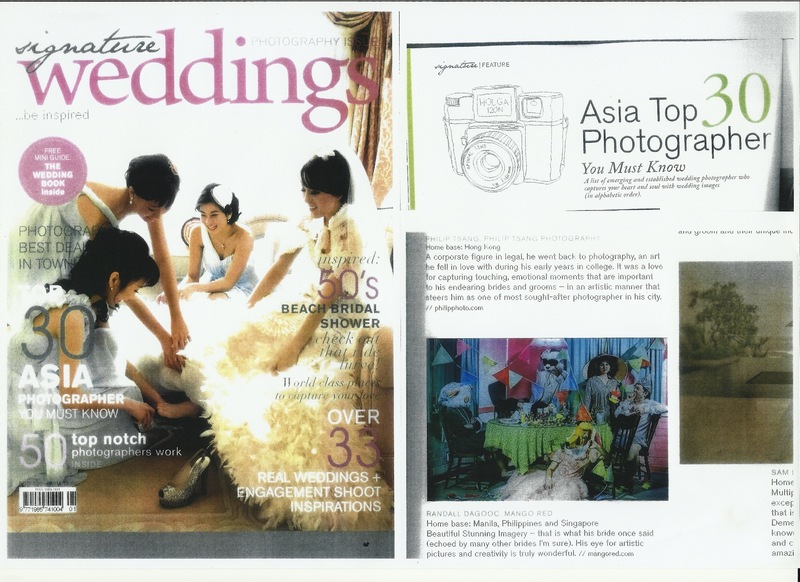 I am so thrilled to be hand picked by Signature Weddings Magazine as one of the Asia Top 30 Wedding Photographers. Amongst the 30 Asian photographers, 4 of them are based in Hong Kong. It’s a great honour to be one of them. Also congratulations to the other three Hong Kong photographers CM Leung, Simon Ho & Lewis Lau! Big thanks to Signature Weddings, my clients and my teammates for all the support!